A massive well done to all of Diamond Class who created some amazing Viking games as part of their topic homework. There were a huge range of game types and the children really enjoyed sharing the games with their friends. You should all be so proud of your efforts. Well done!! Diamond Class enjoyed a couple of afternoons with Miss Johnston learning how to use pastels to create pictures of the Northern Lights. The effects that they created were really impressive…look out for a display of their work in the Summer Term. Diamond Class have been trying out the art of weaving-a method used by the Vikings in order to make cloth. The children started the process by making a simple loom and then built up layers of wool. Diamond Class had their final Forest School session today, Tuesday 12th February. During the morning, the children made dens, weaved hurdles and made Viking porridge over the open fire. Thanks to Mrs T for a fabulous three weeks of Viking, forest fun!! On Wednesday 6th February, Diamond Class took to the PE apparatus to test the effect of weight on how quickly spinners fell to the floor. 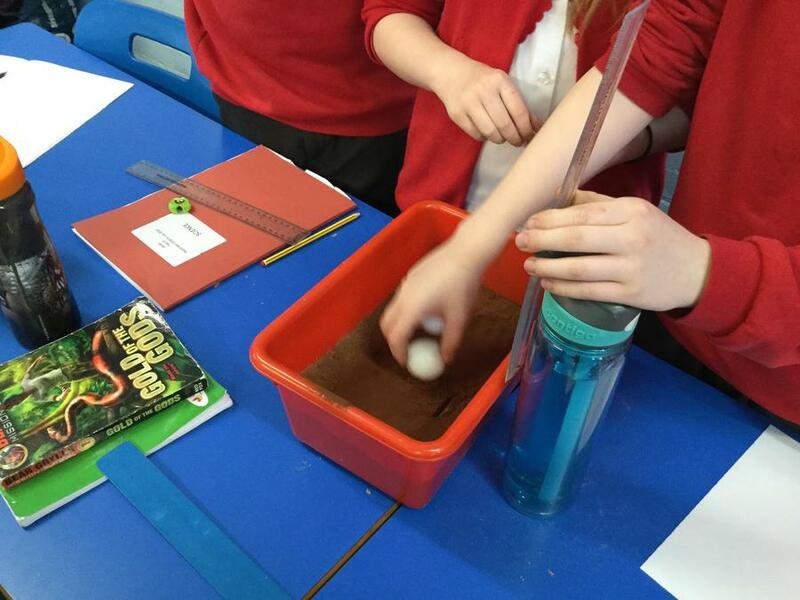 They also learnt about the effect that the force of air resistance has on moving objects. On Wednesday 30th January, Diamond Class were visited by the History Van for the day linked to their current topic on Vikings. During the day the children created museum presentations, completed Viking digs, created long boat sails, took part in a ‘Thyng’, which was a meeting between villagers where they had to discuss a crime that resulted in a terrible injury (in this case someone’s finger being cut off) and they then discussed punishments experienced at that time (in this case the guilty person had their thumb chopped off) as well as jobs that needed to be done in the house and tools that the Vikings used. They finished with some good-old dressing up and playing games of Kubbs. The children were full of enthusiasm and got a lot out of the day. 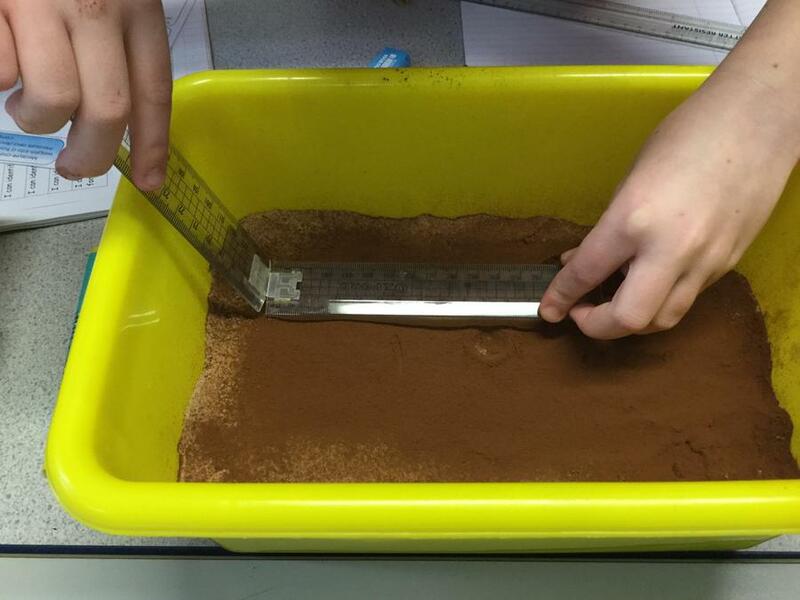 It’s late January and in Science this week, Diamond Class were investigating the effect that different surfaces have on the amount of friction produced. 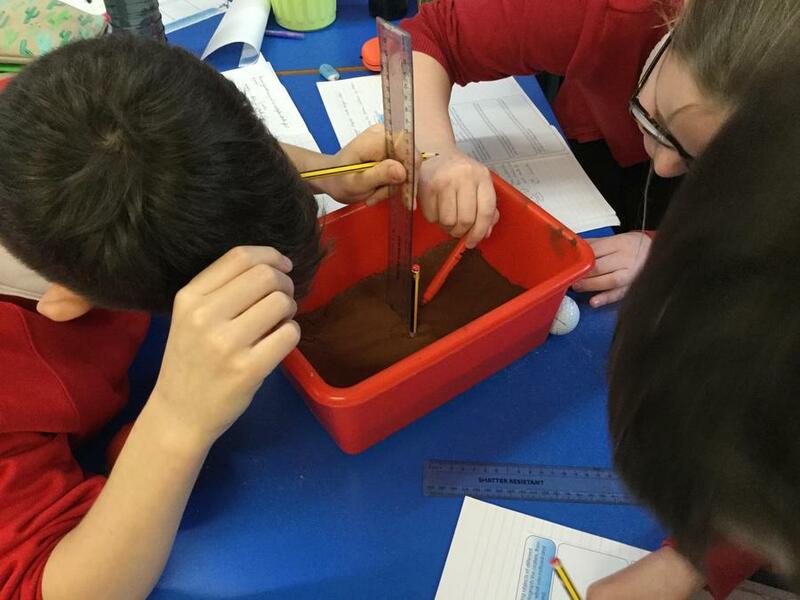 They planned their own investigations and tested a range of surfaces throughout school. It is now the turn for Diamond Class to have some Forest School sessions. Fortunately, the heavy snow subsided and the weather was perfect for their Viking theme session. Children planned where to have their settlements, made fires and also made their own rune stones. They were rewarded for their efforts with warm mead (aka hot blackcurrant!) Thank you Mrs T for the fantastic session. 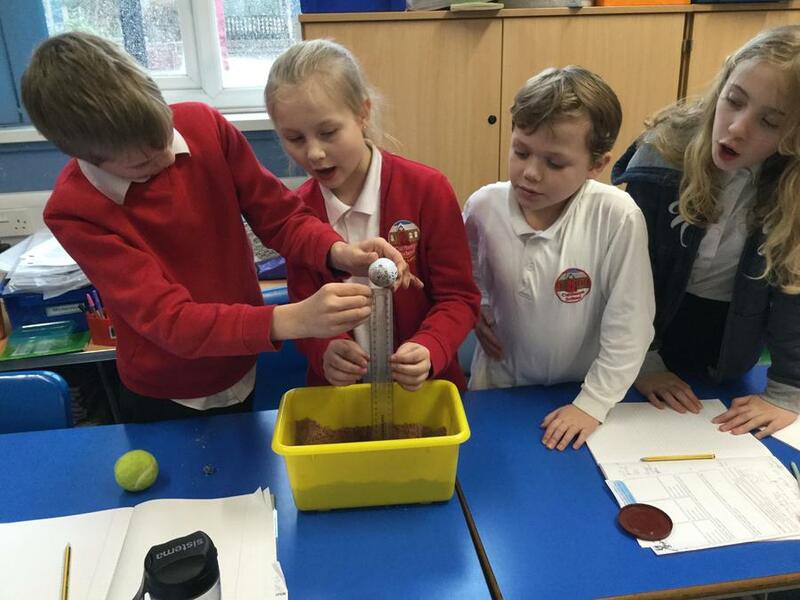 This term, Diamond Class are learning about forces. Last week, the focus was the effect of gravity. 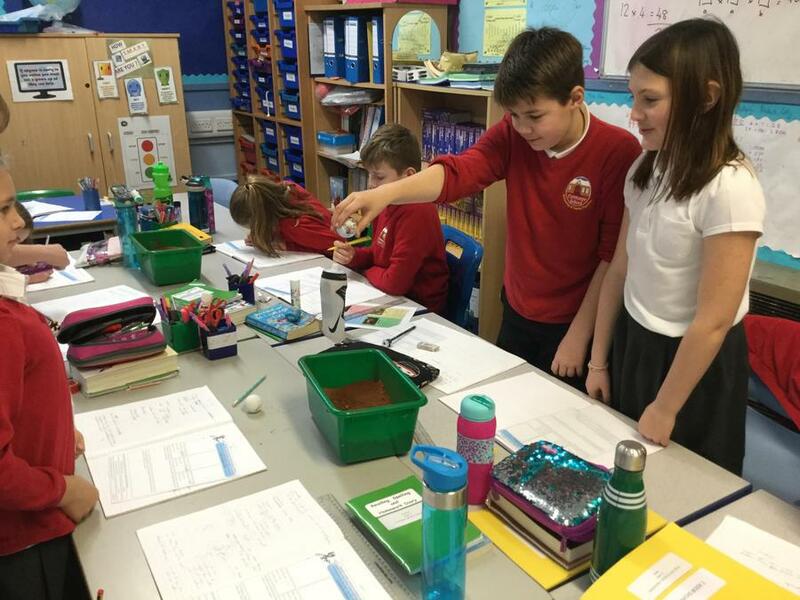 The children designed simple experiments to investigate the effect of gravity on dropping different size and weight balls, looking at the craters produced.